Amelia Hennighausen extols a tome on how ever-evolving photography has captured the glory of scientific phenomena. 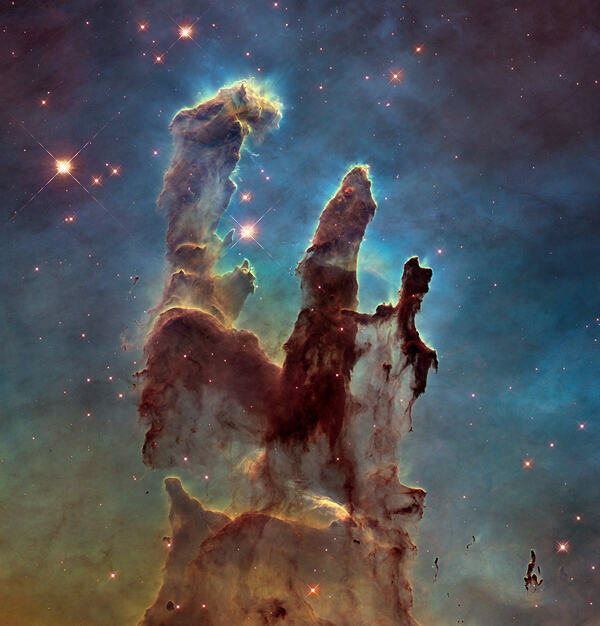 Eagle Nebula’s ‘Pillars of Creation’, NASA/ESA/Hubble Heritage Team (2015). Seeing Science: How Photography Reveals the Universe Marvin Heiferman Aperture/University of Maryland, Baltimore County (2019). Science is such a cornucopia that a book of visuals on its history could take up thousands of pages. Such is curator Marvin Heiferman’s prowess, however, that Seeing Science somehow covers everything in just 224. Heiferman takes us from ornithology, astronomy and genomics to ecology, chemistry and physics, on a dizzying tour of disciplines through lenses of the likes of Felice Frankel, James Balog, Rosalind Franklin and David Doubilet. Heiferman’s 2012 book Photography Changes Everything drew on many years of curatorial work on the online Smithsonian Photography Initiative. Under the aegis of that project, experts and an online audience submitted essays, stories and images from 2007 to 2010, to examine how photography shapes our culture and our lives. Seeing Science consolidates Heiferman’s skills. There is no romanticizing the art of photography here. Instead, his desire is to “contextualize the sciences by examining the cultural conditions that shape inquiry and representation alike”. The 70 themed chapters (corralled into parts called ‘Knowledge’, ‘Culture’ and ‘Imagination’) reveal a range of approaches to framing photographic projects. Some chapters feature analysis by five or so panellists: photographers, historians, cultural theorists. These were developed as conversations that took place online, with a virtual audience. They feel guarded at times — often too broad, and therefore less engaging. What works better are the chapters featuring photographers’ own words, or Heiferman’s distilled biographies of the images’ creators alongside descriptions of the science of the time. Here, we recall that we’re seeing science through that artist’s particular lens. Heiferman addresses ethics, as he must: photography is a powerful medium that can change society and be changed by it. As norms shift, our sense of what is acceptable in an image does, too. A daguerreotype included in Heiferman’s wide-ranging opening chapter, J. T. Zealy’s ‘Renty, Congo, on plantation of B. F. Taylor, Columbia, South Carolina, 1850’, is the subject of an ongoing court challenge in Massachusetts, over whether the descendants of the enslaved man pictured, known as Renty, or Harvard University, hold the rights to the image. In future, photography archives and publishers might need to abandon their driving doctrine of ‘historical significance’ for the greater good by paying due attention to the descendants of those who did not provide consent to be photographed. That could mean retiring certain images altogether. Seeing Science is also forward-thinking, with chapters on virtual reality, facial recognition and other cutting-edge technologies that could boost areas including surveillance. I would have liked to see more of the medical imagery that advances treatments and diagnoses by harnessing technologies such as scanning electron microscopes, magnetic resonance imaging or vDISCO — which turns tissue transparent. An expansive timeline is a bonus, starting from 1000 bc with a piece of Assyrian rock crystal known as the Nimrud lens, the earliest known optical device. Photography as we define it started with an image by Joseph Nicéphore Niépce in 1826 or 1827. The future of photography is boundless. Technology is constantly being developed to increase manipulation, including editing portraits and landscapes; artificial intelligence is capable of making people up completely. This will only increase our inability to distinguish what is authentic from what is fabricated. Accusations of fakery are already used to destabilize trust. Visual manipulation, combined with the speed with which images traverse the globe, could sow chaos — or spur the imagination. Top: Eagle Nebula’s ‘Pillars of Creation’, NASA/ESA/Hubble Heritage Team (2015). The complex science that went into creating this image of the Eagle Nebula in the constellation Serpens is impressive, but the image alone dominates the imagination. With no reference in the frame to show scale or sense of place, it defies everything familiar and earthly. As Max Mutchler, manager of the Space Telescope Science Institute in Baltimore, Maryland, notes, the image shows events that took place 6,500 years ago, and “each of the little protuberances on the top of those pillars is equivalent in scale to our solar system”. 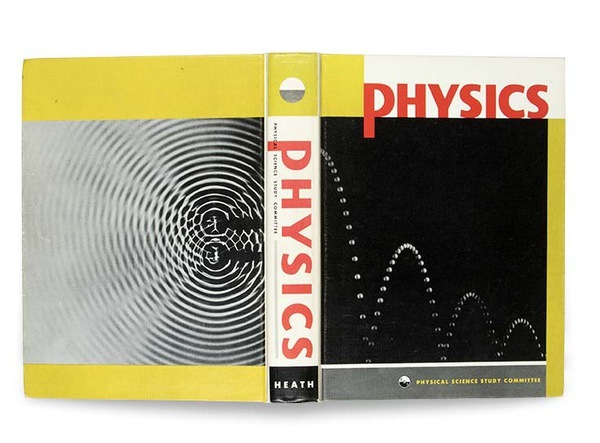 Berenice Abbott’s photos on the cover of Physics, a high-school textbook originally published in 1960. Known to many for her 1930s project Changing New York, the pioneering US photographer Berenice Abbott turned her lens to science early on. Twenty years later, in the late 1950s, the Massachusetts Institute of Technology in Cambridge asked her to shoot physical phenomena for this textbook. Abbott wrote that “photography can be this spokesman, as no other form of expression can be” to explain the world we live in. 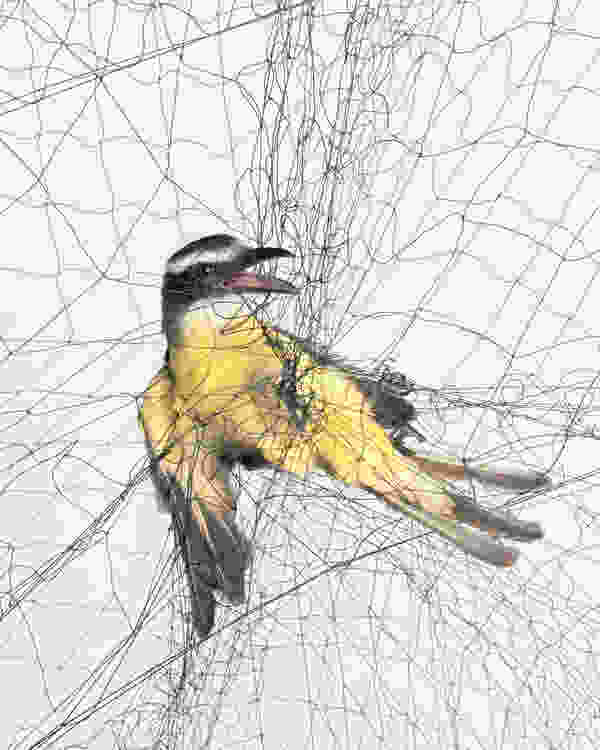 ‘Boat-Billed Flycatcher (Megarynchus pitangua)’, Todd R. Forsgren (2012). “Most people gasp when they first see the images,” notes environmental photographer Todd Forsgren; many viewers think the birds are in danger. Yet Forsgren worked with ornithologists, who use mist nets to briefly capture, measure and band birds (such as this flycatcher) before releasing them unharmed. 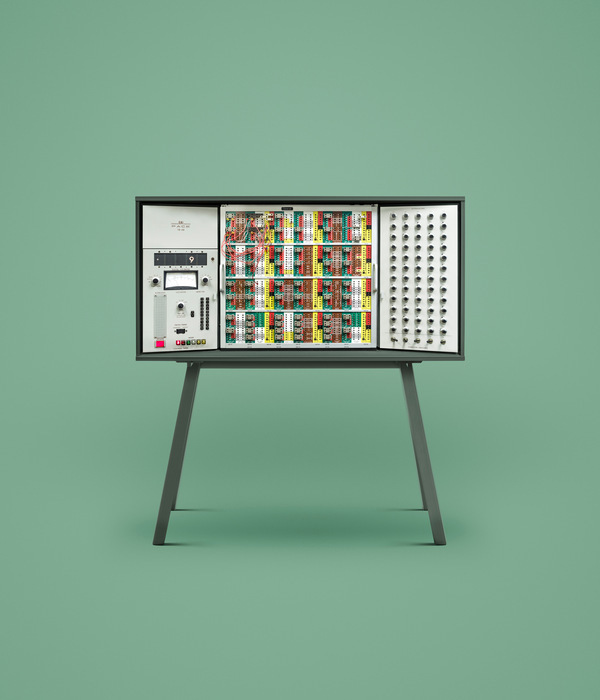 ‘EAI PACE TR-48’, from the series Guide to Computing, James Ball (2016). The ongoing photography project Guide to Computing by James Ball (also known as Docubyte) captures historical computers in what seems to be the most simplistic way. Showcased on their own, the machines become simply elegant. As the world consumes technology at an increasingly rapid pace, Ball’s work seems both comforting and enigmatic. 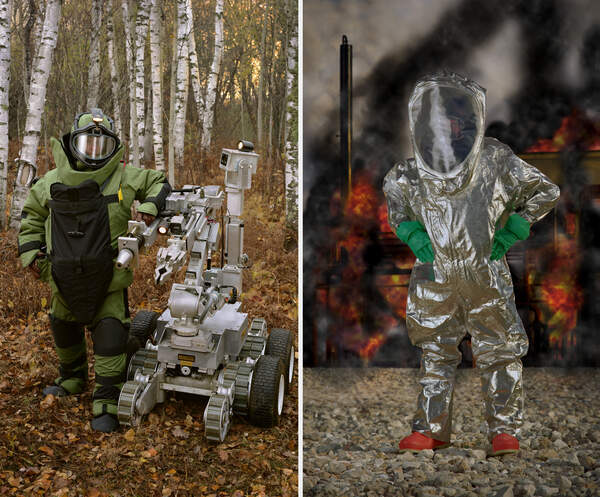 Left: ‘Bomb suit, robot, 148th Explosive Ordinance Disposal, Minnesota Air National Guard, Duluth, Minnesota’, Paul Shambroom (2005). Right: ‘Level A hazmat suit, aluminized, Disaster City National Emergency Response and Rescue Training Center, Texas Engineering and Extension Service (TEEX), College Station, Texas’, Paul Shambroom (2004). The protective suits worn by emergency clean-up and bomb-disposal units are evocative — as are the poses of the courageous individuals who ‘model’ them. As Heiferman notes, these images speak both “to potentially out-of-control situations, and portraits made with the calmness of eighteenth-century paintings”. ‘Dr. James Rothman’, Kunié Sugiura (2003). Realizing there were few scientific career opportunities for women in her native Japan, Kunié Sugiura moved to the United States in the mid-1960s. There, she switched from physics to photography. For this series of scientists’ portraits, Sugiura asked each of her subjects to “strike poses or appear with objects that suggested their interests and accomplishments”, Heiferman writes. 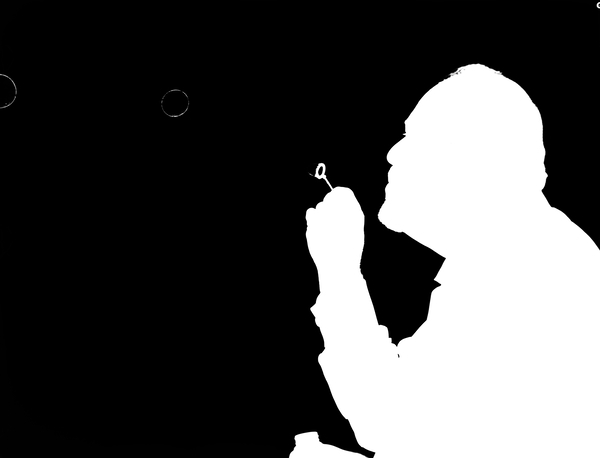 The biochemist and Nobel laureate James Rothman works on structures inside cells known as vesicles, which transport substances — and look not unlike bubbles. ‘Asplenium ruta muraria, British, England’, from Cyanotypes of British and Foreign Ferns, Anna Atkins (1853). 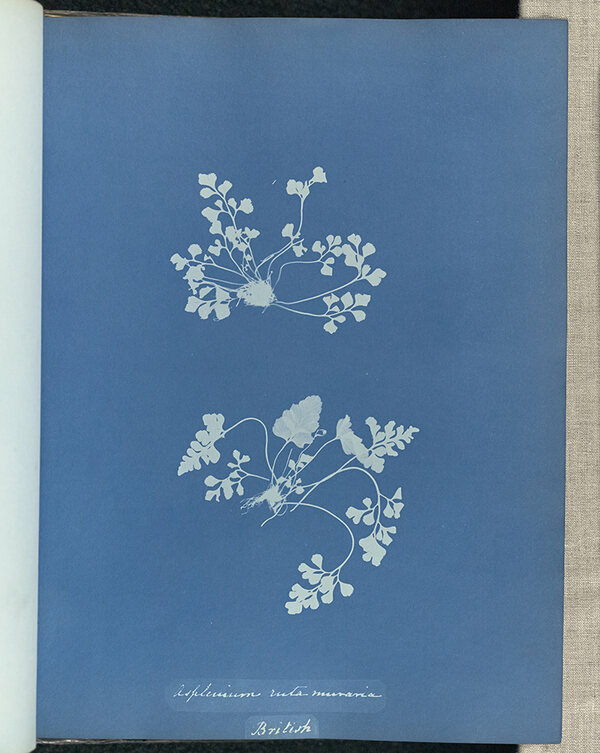 The Victorian botanist and photographic innovator Anna Atkins produced the images for the 1843 Photographs of British Algae: Cyanotype Impressions — the world’s first photography book — and two follow-up volumes. Her technique involved placing specimens of plants such as this fern on light-sensitive blueprint paper. This provided a new medium for specimen photography and opportunities for scientists to share their data collections — or not. 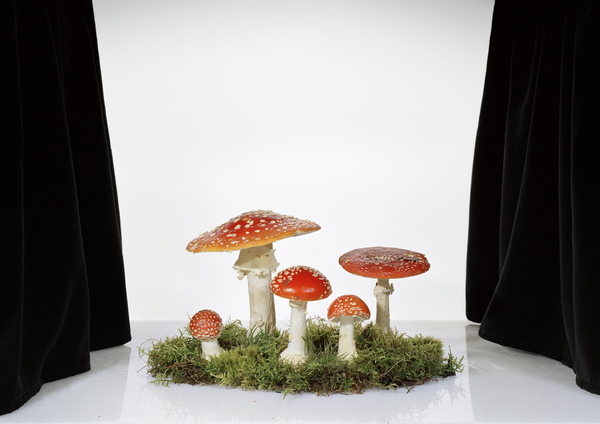 ‘Amanita muscaria’, Sanna Kannisto (2016). The Finnish photographer Sanna Kannisto travels to lush rainforests in South America and the Caribbean, where she lives among researchers while photographing specimens of native flora and fauna. Neatly staged, the images remind us of photography’s importance in “creating ordered views of ecosystems in flux”, as Heiferman writes. 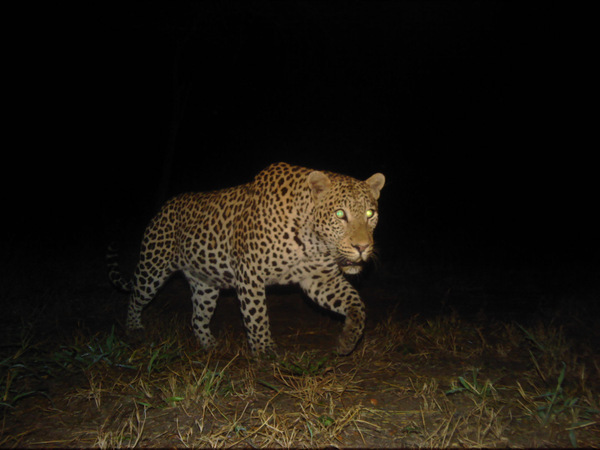 ‘Camera trap image of South African leopard’, Panthera (2017). Strategically placed motion-activated cameras enable scientists to capture images that might otherwise prove elusive. Researchers can share the findings with local communities and international conservationists such as the non-profit group Panthera, which could help to protect endangered species. 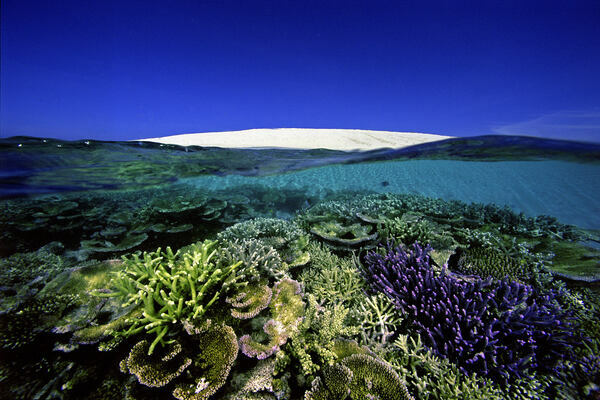 ‘Coral reef surrounding Number 6 Sand Cay, Queensland, Australia’, David Doubilet (2009). David Doubilet has been taking photographs under water since he was 12. He has documented global seas and breathtaking scenes few will ever experience. His extensive collection is often painful to view, given the impact of overfishing and climate change on marine ecology. “I want to … make pictures that make people care about, fall in love with, and protect the sea,” he states. 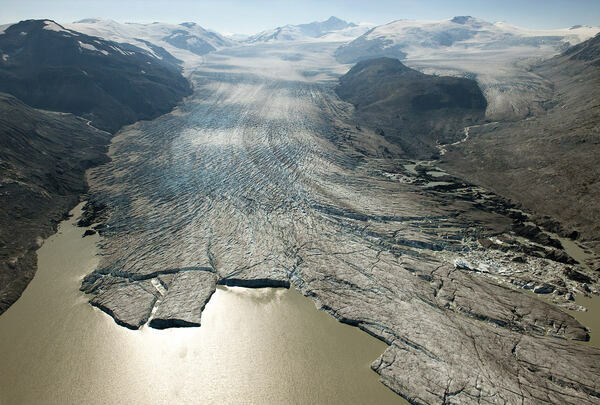 ‘Bridge Glacier, British Columbia’, James Balog (2009). 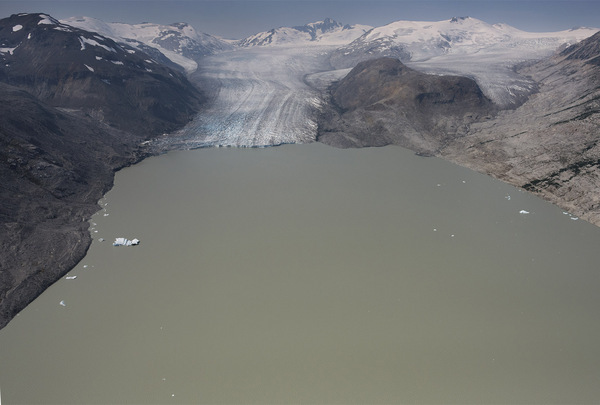 ‘Bridge Glacier, British Columbia’, James Balog, (2017). James Balog initiated the Extreme Ice Survey in 2007, uniting scientists from myriad disciplines to record changes to Earth. The project’s dramatic photos raise awareness and educate the public about threats to the cryosphere, and the need to take action. 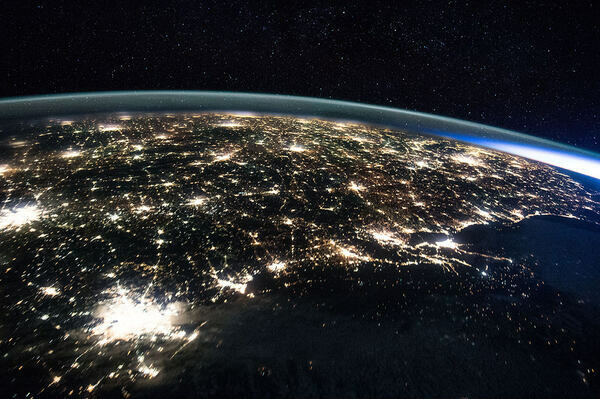 ‘Night lights of Houston and the Gulf Coast as seen from the International Space Station, January 5’, Scott Kelly (2016). US astronaut Scott Kelly, who wrote the foreword to the book, has certainly seen science on the grand scale. A veteran of four space flights, he also spent a year on the International Space Station (ISS). Kelly has shot our planet myriad times from space. This view of Houston, Texas, was taken from the ISS and, like many of his photographs, was “meant to capture a sense of wonder I felt and the beauty I saw”, as he writes. Amelia Hennighausen is the US media editor at Nature, and professor of photojournalism at Fordham University in New York City. Correction 09 April 2019: This article has been amended to note that Seeing Science is co-published by the University of Maryland, Baltimore County.